Things have been bee-sy! April 1—no fooling—CTG launches our spring season, starting with native edible plants, like Barbados cherry. Until then, bees and other pollinators are chowing down in my garden. Native annual baby blue eyes (Nemophila menziesii) will seed out soon to surprise us in new locations next year. Bees hurry to snack on spiderworts (Tradescantia gigantea) since these native perennials are winding up this year’s job. Returning in fall from spidery roots, they populate themselves by catapulting seeds. Butterflies, including Texas Crescent, race around native golden groundsel (Packera obovata). And here’s a first for me! Delicate-stemmed Gladiolus tristis showed up against a bearded iris. Since the parents are several feet away, one of the seeds they launched hunkered here to germinate. Native Texas bluegrass (Poa arachnifera), semi-shaded by a mountain laurel, promises new drought-tough additions I can dig up and move around. Its frothy seed heads glisten by moonlight. In case you missed it, this week we light up the night with flowers and fragrance after dark. On tour, visit one of the gardens on the Funky Chicken Coop tour, held this year on April 15. •	March 25 – 26: 60th Annual Zilker Garden Festival “Cultivate Austin: Live Here, Grow Here. •	March 31: Concordia University Texas first annual Nature Fest. •	April 1: Mayfield Park Trowel & Error Symposium. •	April 6: CTG KLRU NEXT Night! Tequila, Terrairums and Tomatoes Springdale Farm! RSVP here. 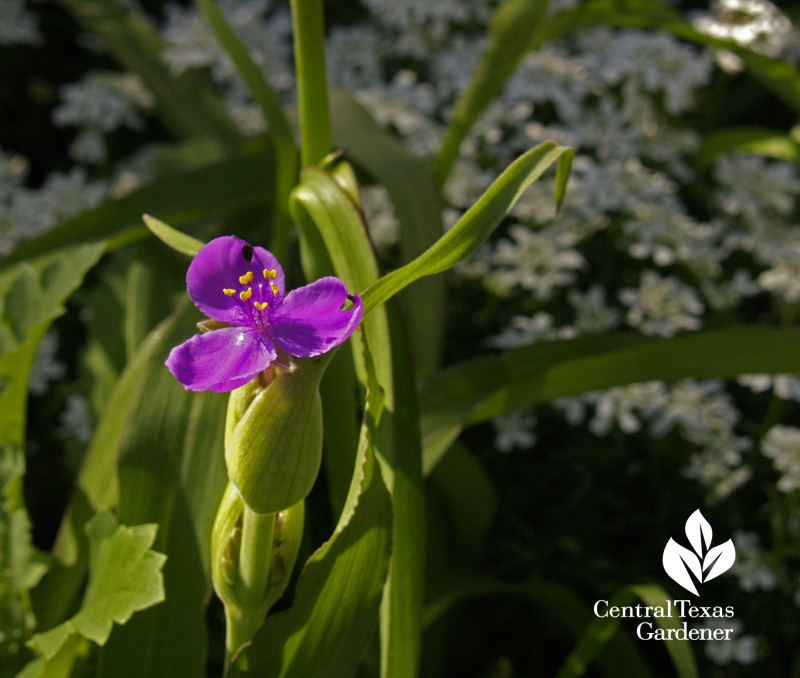 •	April 7 & 8: Wildflower Center Spring Sale. 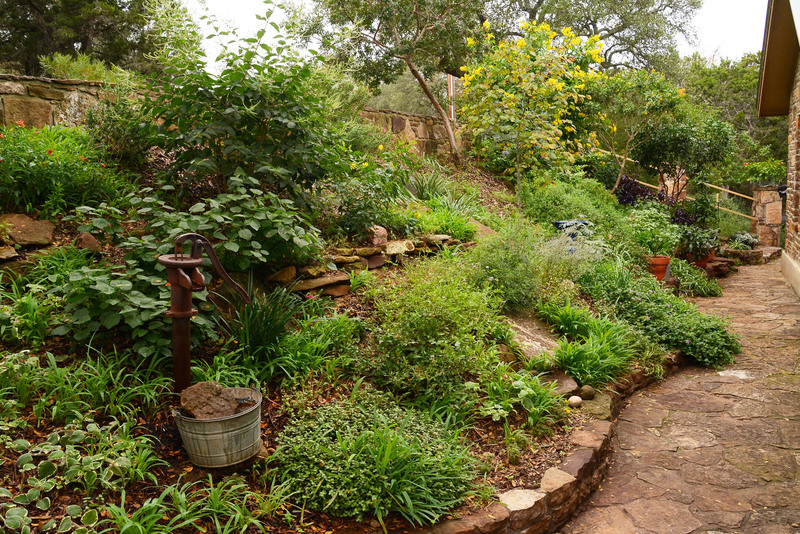 •	April 8: San Antonio Watersaver Landscape Tour. ← Zooming into Flower Power!